The two most popular windows these days are vinyl and wood. Most of them have some way to replace the damaged glass without the need to replace the entire window, frame and all. Some wooden windows have a glazing compound that holds the glass in place. In that case, the old compound can be removed and a new piece of glass can be installed with fresh compound. Vinyl windows usually have a glazing bead that holds the glass into the window frame. 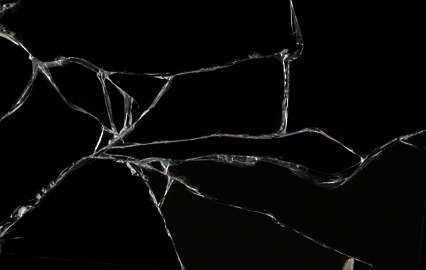 When the glass breaks, the bead can be removed, a new piece of glass can be installed, and you can go on your merry way. Glass is put together in a unit similar to a sandwich with the two panes of glass as bread on the outside and argon gas like the meat between them. If only the outside pane breaks, you would still need to replace the entire glass unit because the argon gas will have escaped. The gas is important because it increases the insulation value of your window. It’s kind of the most important part of the sandwich, just like the meat. In some cases, you might notice that your window isn’t broken but appears to have moisture between the panes of glass. This is caused by seal failure which means the seal has broken down over time or has a small crack somewhere that has allowed the gas to escape and moisture to enter. Again, it’s time to replace the glass unit. If your glass was broken in such a way that it damaged your window frame, you might be looking at replacing the sash or even the entire window. That’s where we come in. So, take a look at your situation and decide what you’re looking for. If you have questions, don’t hesitate to give us a call.